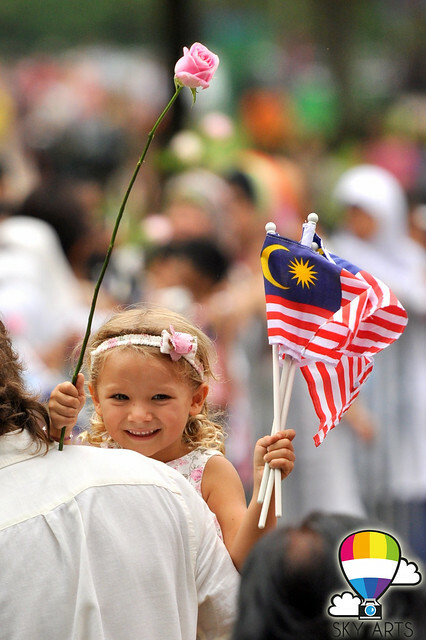 Today, Malaysians and non-Malaysians alike, gather at KLCC park. All unite for one reason, and only ONE reason. 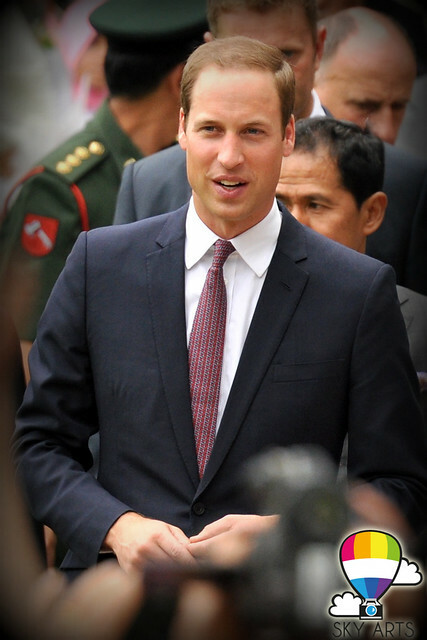 The Prince who's charms and looks come from his mother, Lady Diana Spencer. 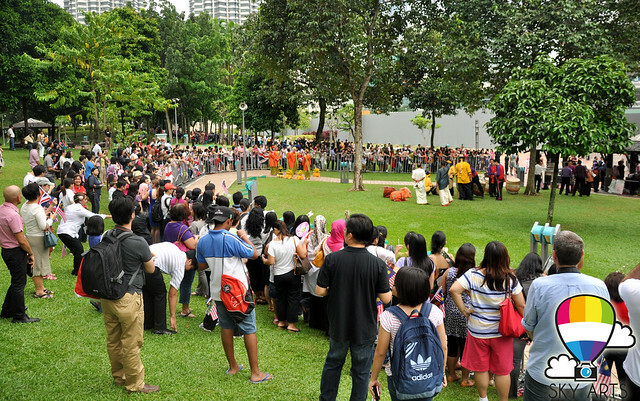 People horde to KLCC Park, filled it with carnival-like atmosphere. 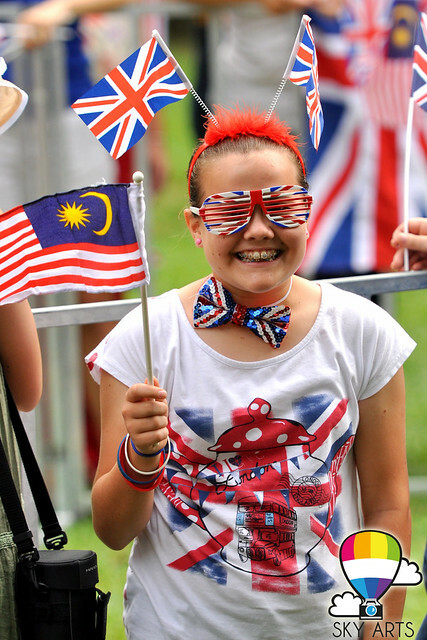 All dressed up with Union Jack and Jalur Gemilang! Some even brought flowers...adorn with a pretty smile! And just as Prince William arrives with his dear wife... the crowd went so high~ and everyone wanted to have a close up look on this couple. "Hey you! Who are you looking at?!" Even a bodyguard can't keep his eyes off Kate Middleton! 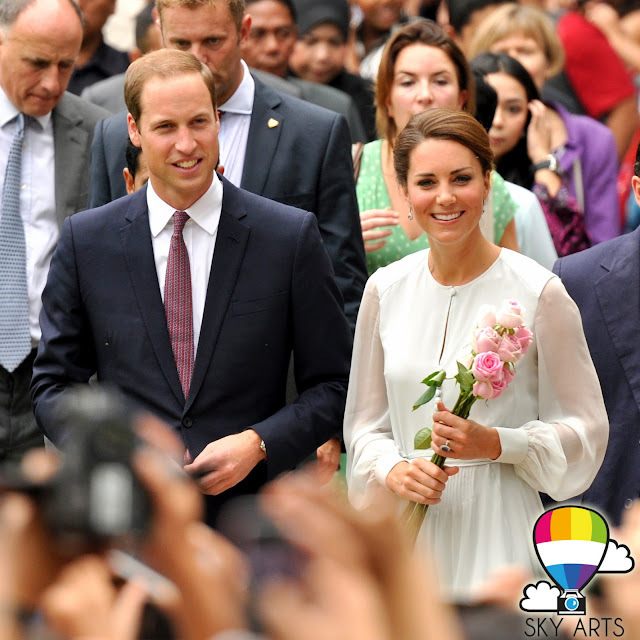 Happy touring Will and Kate! So readers, how do you find the photos? 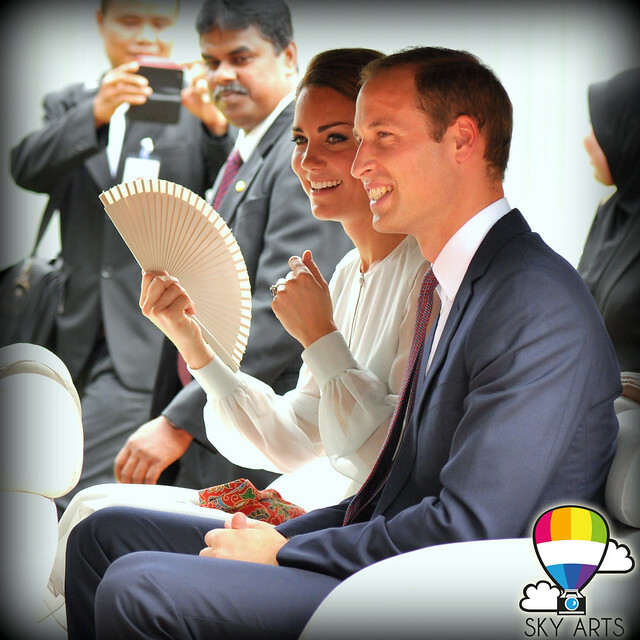 I think Sky Arts did a very good job in covering Wills & Kate in KLCC Park. *claps hand* And if you want to know who is the photographer behind Sky Arts, it is none other than TianChad from www.tianchad.com. Well, you can find more photos at his blog (click here). 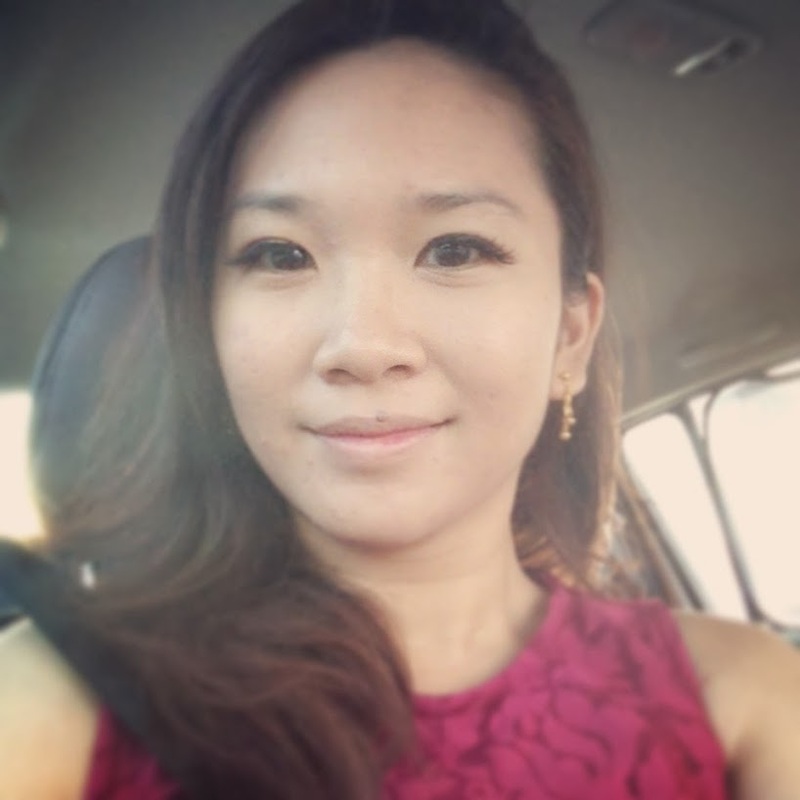 Thank you TianChad for allowing me to share his photos.